*Please note: All summer rentals (6/15-9/3) begin on FRIDAY - with a 2 night minimum. (Summer weekdays - SUN thru TH - available only if prior weekend is already rented - 2 night min. - 7/17 & 7/18 currently available.) See "RATES notes". Completely remodeled - upscale one bedroom sunlit retreat just steps (literally!) off of Santa Cruz's #1 beach. Our cottage and furnishings are bright, fresh, new and clean! It is fully furnished, down to the last wine goblet. You will find everything that you need for a relaxing getaway - gourmet kitchen, quality linens, bath and beach towels, gas fireplace, DSL Wireless Internet, satellite/plasma TV, VCR or DVD (including library), stereo/CD player, and a safe for valuables while you are away. Guests will also enjoy a separate studio with plenty of space to store any personal items, along with a washer/dryer, bikes, beach chairs, beach umbrella, and an exquisitely landscaped exterior patio with shower, patio seating and gas BBQ Grill. The cottage is perfect for 2, but will sleep 4 with the comfortable hide abed in the living room. Seabright Beach (also known as Castle Beach) is part of Twin Lakes State Beach. It was voted #1 by the locals, and is a top rated, five star beach in National publications. It is a wide strand of beautiful, soft sand that is bordered on the west by the mouth of the San Lorenzo River and Santa Cruz Boardwalk, and to the east by the Santa Cruz Yacht Harbor. It is excellent for family outings, beachcombing, jogging, swimming, body surfing, skim boarding, volleyball, evening bonfires and viewing incredible sunsets. From the cottage, it is just a short scenic stroll to the Santa Cruz Yacht Harbor, or to the Historic Santa Cruz Boardwalk via the train trestle, yet it is separated from all of the hubbub! And the local neighborhood of Seabright itself is known for its restaurants, cafes, coffee houses and Natural History Museum with a climbing whale - all nestled amongst the beach bungalows with a Victorian backdrop. (Both the neighborhood, and Seabright Beach are consistently voted among the best by the Santa Cruz locals.) And just a quick bike ride or a little longer walk finds you in the infamous downtown area - where you will find an eclectic mix of restaurants, shops, theatres and "local entertainment". Our Romantic Seabright Cottage is located just steps to the beach in a quiet neighborhood, yet it is the perfect gateway for all that Santa Cruz has to offer - including world class surfing, sailing, kayaking, fishing, cycling, golfing, premium wine tasting and breweries, CA State Parks, the Historic Santa Cruz Beach Boardwalk..............Let us be part of your vacation memories! PLEASE NOTE: SUMMER RENTALS BEGIN ON FRIDAY so you can avoid the traffic snarls. See rates page. We enjoyed the proximity to the beach and spent every evening walking to view the ocean, stroll the neighborhood, or visit the plentiful coffee and dining choices. The garage is stocked with everything needed for a day on the beach, including sand toys for kids, and the little garden in the back is very pretty. We do need a bigger bed however, and the house is so tiny, that after this most recent stay (3rd or 4th time) we decided we will seek more spacious accommodations in the future. One other thing that may or may not be of concern to visitors: the water temperature in the shower is inconsistent and we found ourselves constantly turning it up or down during the duration of our showers. And a gentle suggestion to the owner that one more luggage rack would be lovely! Overall a well taken care of place where you can literally see the ocean as you step out the front door. Enjoyed our stay in this lovely area of Santa Cruz. The house has every possible thing one needs to relax and enjoy. The cottage was super clean, well stocked, and beautifully decorated. We loved the little backyard garden and the quiet location. We were able to walk to breakfast and dinner. We hope to return to this cottage soon! Wonderful visit, we will return. The only disappointment was that I couldn’t find bike helmets and a tire pump for the bikes. However, we could easily walk to the boardwalk and downtown. This cute home was very cozy and comfortable . The beach is less than a block away and we can see the water from the front steps. We loved this cute cottage and it’s proximity to the beach. It was clean and comfortable and had basic amenities. Please be aware that parking is street parking only. The driveway is too narrow to park in. Cottage at Seabright is awesome! We loved our stay at the Cottage at Seabright! Very clean and cute and comfy, just steps from Seabright beach! 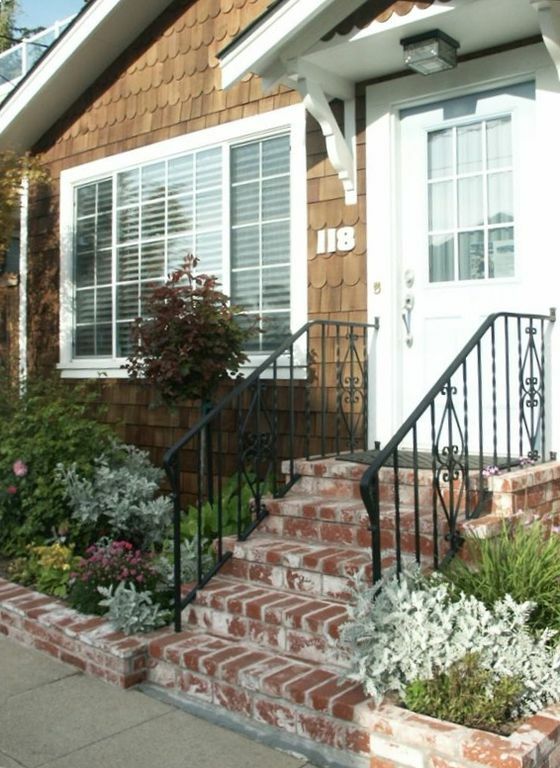 Very good location with access to great restaurants, shopping - everything you want in a Santa Cruz vacation rental. We'll be back! **HIGH SEASON WEEKEND RATES (Friday to Sunday): $850 Additional nights can be added for $265/night. Weeknights - 2 night minimum - if weekend prior has already been rented! (Sunday thru Thursday nights) Rentals less than 7 days require full payment at booking.....unless more than 4 months in advance. VRBO/HomeAway charges their own Service Fee which is included in your quote.